Home » DIY » garden » health » plants » tips » Know Some Cures for Ailments? Know Some Cures for Ailments? It seemed like my son is constantly catching a cold. At first we thought it was because of where he worked. He is always in contact with people being that he worked in the restaurant. We had ruled out this reasoning since then because he doesn't work there anymore but still getting sick quite often. I once met at the neighborhood library. She knew great herbal cures. She explained that her family only use this prescription when they are sick. Her mindset was strong and knowledgeable with some ancient remedies that she had sworn to work. I tried it when the sickness was going through our household, twice for me in one month with different viruses. If it wasn't for this prescription I would have been sick much longer. If you wanted to try a straight-up herbal medicine, read my post on the perilla mint healing herbs for colds. 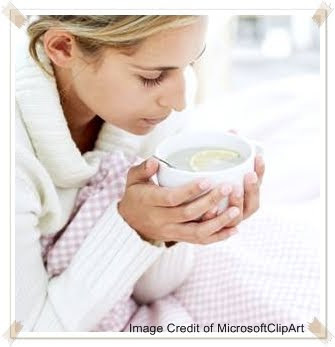 Do you have any special remedies that you could share with us today for colds and sore throats? I always suggest gargling with salt water, it will do 2 things, one soothe the throat and kill bacteria at the same time and can be done as often as necessary. The other is drinking something hot (carefully) like a broth, tea or lemon and honey. And lots of chicken soup through the winter. Yes. Yes. I like your suggestions. Those home remedies are great for colds and sore throats. I enjoyed reading your article, especially about the Ranking. I never knew how it worked. After reading your article it helped clarify a lot! Thank you for sharing!